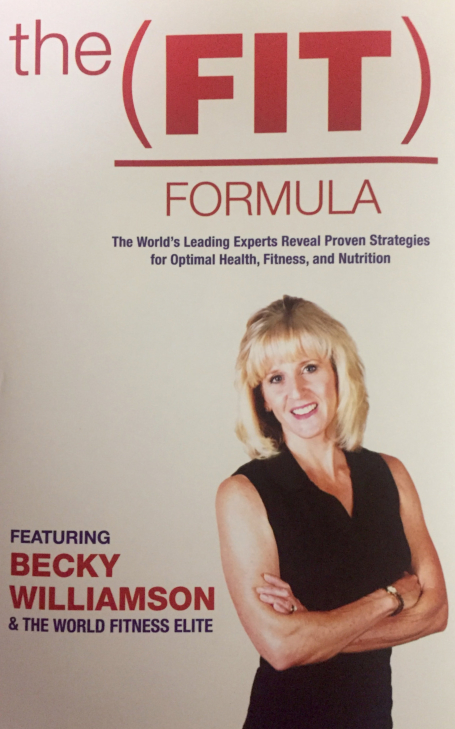 You’re invited to a participate in a workshop & workout with Best-Selling author and “Fat Loss Over 40” expert – Becky Williamson. Becky will share her formula to rekindle your metabolism and lose those unwanted inches that have crept up over the last few years… or decades. Is your waistline expanding every year? Are you frustrated because you feel tired and out of shape? Are you lost when you go to the gym to try and start a new workout routine? I, too, am a busy working mother and I understand how hard it can be to find time to take care of yourself when you’re taking care of everyone else. As we get older and enter the second half of our lives, our bodies often tend to fight us. We easily lose muscle tone, our bones thin out, and our metabolism slows to such a crawl that even looking at our favorite dessert seems to add an inch to our waistlines. It can be VERY FRUSTRATING! You may have noticed that you just can’t eat freely like you used to. Maybe your clothes no longer fit “just right” and your energy fades fast. For me, it was doing the same type of workout I’d done in my 30’s and not getting the same results with it after I hit my 40’s! It turns out that YOU CAN BE FIT AND FABULOUS OVER FORTY! 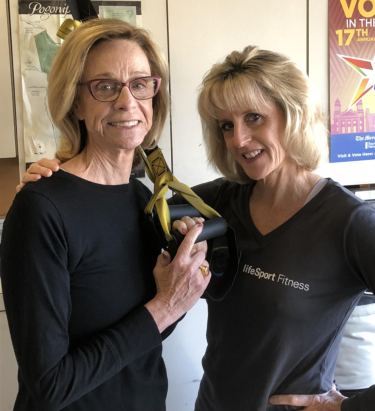 After years of reading the research and some trial & error, I discovered a fitness and fat loss formula that works for women over 40, and I will share it with you in my Fit & Fabulous Over Forty Workshop and Workout. A Better (And Much Quicker) Way to Do Cardio – HINT: The Most Effective Fat Loss Cardio Workouts ONLY Take 10 – 25 minutes! You’ll Get All This AND MORE When You Register Today for My Fit & Fabulous Over Forty Workshop & Workout on Saturday, April 28th from 10:00 am to 12 noon. Because you’re sick of being unfit, out-of-shape and tired all the time. Give me 2 hours and I’ll teach you how to feel better, look better and have more energy! I’m so confident you’re going to find my Fit & Fabulous Over Forty Workshop & Workout so valuable that I’m happy to provide you with an unconditional 100% Money-Back Guarantee. If you feel the workshop and workout didn’t give you what you need I will gladly refund your registration fee and you can keep the copy of my book as a parting gift. Fair enough?